Ultra thin protective case with folio style wallet cover. For iPhone X and XS. 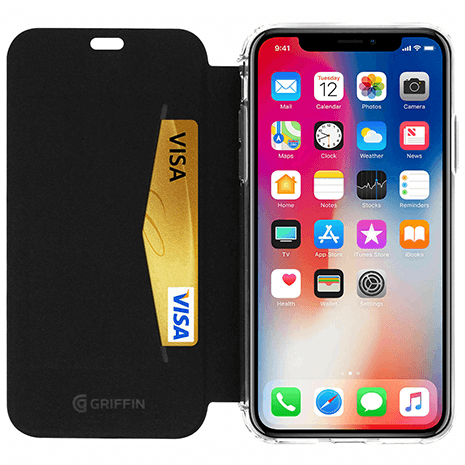 Protect your iPhone X and XS from drops up to 3ft - and get a super slim wallet at the same time with the Griffin Reveal Wallet Case. 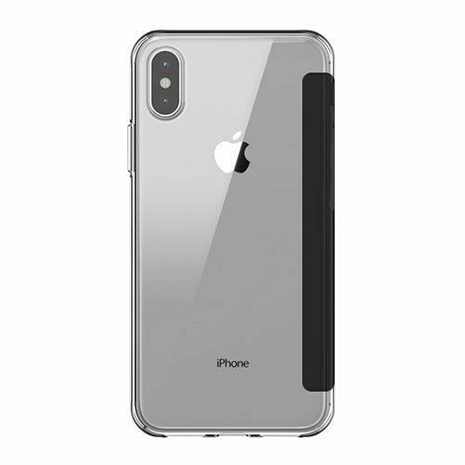 The ultra thin shell case shows off your phones good looks well keeping it protected from everyday wear and tear and drops from up to 3 feet. It also comes complete with a folio style wallet cover that has slots for your ID and bank cards. 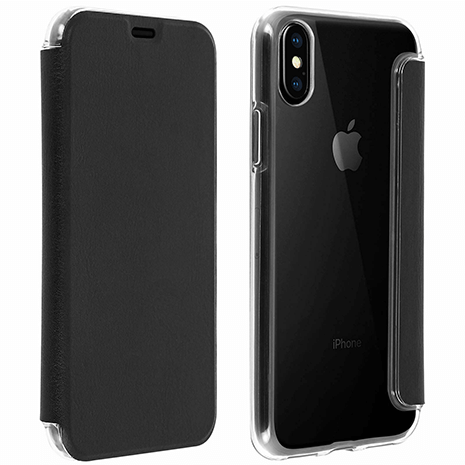 The case also has rubber bumper edges making your phone easier to hold on to.